Navarra export catalogue - Forjas de Viana, S.A.
Balusters, Forged Rings, Spear Heads. 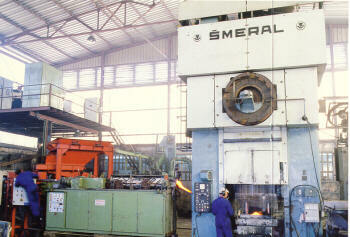 Forjas de Viana S.A. (Forvisa) was founded in 1964, and is a foundry which operates in the metal transformation sector. Forvisa is a modern dynamic company which offers a full and relieble service. 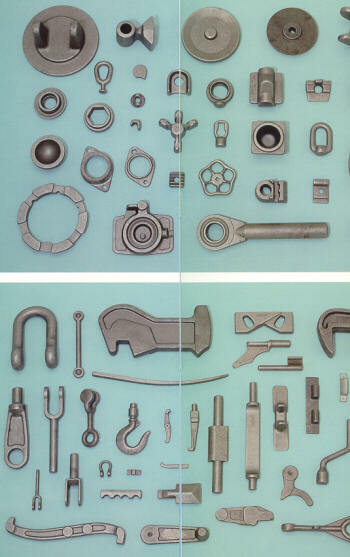 Forvisa producrs hot castings of up to 7 kg, in steel, alloys or stainless steel, for different industrial sectors, both in Spain and abroad. We design and make moulds from plans or samples. drilling, mill culting, screwing, theead, cutting, welding etc. We can produce different finishes. These range from thermal treatment and paint finishes to zinc baths and hot galvanising . Our company policy is to continually update our machinery and equipment.